Agency for Egg Donor Solutions was built on the heels of Global IVF and Agency for Surrogacy Solutions, both internationally recognized for IVF and surrogacy services and information. Our main goal is to create the type of full service agency that we wish had been there for us. In Vitro Fertilization (IVF) is an assisted reproductive technology (ART). It is the process of fertilization by combining an egg and sperm in laboratory and transferring the embryo to uterus. The IVF procedure includes stimulating multiple follicles and eggs to develop, egg retrieval to get the egg, fertilizing the egg and then transferring the embryo to the uterus. 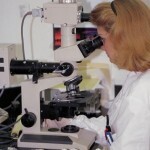 Donor eggs in IVF procedure donates eggs for development of embryo. More than 70% of the women older than 45years who try IVF procedure use donor eggs to conceive the baby. Female age is important while considering the probability for getting pregnant. The real issue with egg health is egg quantity and quality that is affected with women age. Increasing trend towards late pregnancy involves fertility problems with less egg quantity. IVF cycle is the one of the process where unlike in menstrual cycle the ovary does not undergo ovulation, instead the matured ovary is retracted for the further processed for embryo development artificially. For egg donation the donor is intended to undergo donor egg cycle. Like IVF cycle, egg donation cycle begins at the beginning of the menstrual period. Before egg donation, the intended mother undergo practice cycle where she is given estrogen and progesterone supplements in order to check if the lining of her uterus will be satisfactory for the embryo implantation and also undergo a practice embryo transfer. The global donor egg IVF market is expected to be fueled by the recent advancement in the gynecological related medical technology. The key drivers of the market are the increasing cases of gynecological disorders, growing aging population, increasing awareness about different procedures, Governments initiatives towards healthy baby and increasing awareness among women’s regarding frozen donor egg bank. The changing lifestyle and family history for gynecological disorders is expected to fuel the market of donor egg IVF market. As per the report of Society for Assisted Reproductive Technology in 2012, more than 61,000 babies were conceived with the help of IVF. The increasing preference towards improving career by women’s is also expected to fuel the market of donor egg IVF. Increasing cases of unfertile eggs and advancement in gynecological treatment technology is expected to increase the market. Growing median age of first motherhood in women, growing cases of male infertility and declining infertility rate is growing the market of IVF which in turn is growing the market of donor egg IVF. Fresh donor refers to fresh egg from young donor. The donor is chosen by the recipient couple and stimulated to produce multiple eggs. Frozen egg is improved significantly over the past several years due to tuning of freezing and thawing protocols. Egg freezing is considered a feasible and better option. Using frozen donors have many advantages for the recipient donor such as synchronization of cycle between donor and recipient with no problem. Cost per treatment cycle and time is reduced as compared to fresh. Region wise, the global Donor Egg IVF market is classified into regions namely, North America, Latin America, Western Europe, Eastern Europe, Asia-Pacific, Japan, Middle East and Africa. North America is expected to lead the market due to better healthcare system, economic strength, good reimbursement scenarios, better experienced practitioners and awareness among population about IVF. Europe market is expected to hold second largest market share followed by APEJ and Japan due to increasing adoptance of the technology among the practitioners and rising awareness among the population. Who knew the Sun could help you get pregnant!